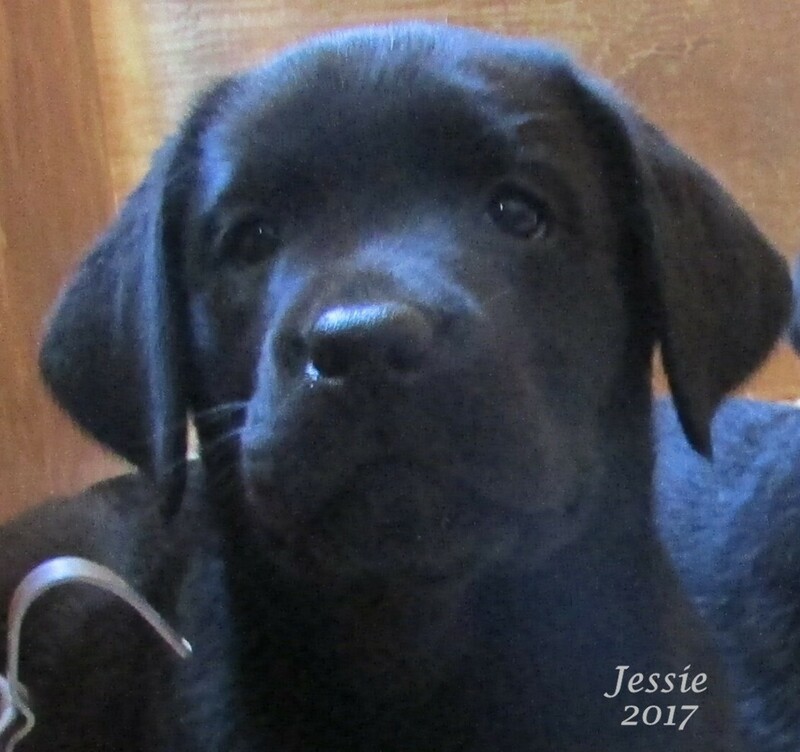 Jessie is a good looking black Labrador Retriever and she bred from excellent show lines of English, American, and Canadian show lines. Her lines are mainly English from mom side of the pedigree and American show lines.. Her English lines are Sandyland, Kimvalley, and Weather Top. Her mom Abby is a very impressive black lab with import from England and her grand dad Garry is a American show champion and well known in the USA, and he sired several show champions here in America, and he is AM CH Langshott Gale Force From Kimvalley CD, and his father is a Top Sire in England 2002 (Dog world Competition), his name ENG. SH. CH. Sandylands Gad-About. Her Dad Mark from well known American show champion on both sides of his pedigree... You will see a Gold Grand champion and other title lab in the pedigree... her parents pedigrees are a must to see... very impressive labs to see. The famous English champion dogs in her lines are these wonderful Labradors, ENG. SH. CH. Sandylands Gad-About, ENG. SH. CH. Sandylands My Guy, ENG CH Kupros Master Mariner , AM CH Marshland's Blitz, and the Labrador I love the most International/World ENG. FR. AM. CAN CH. Sandyland Rip Van Winkle, all of these Labradors impact the Labrador breed we see today. Their show achievements are that of AKC, International, and World Champion. You will see other titles such as CD (companion dog), CDX (companion dog excellent), CGC (canine good citizen), SH (senior hunter), and WC (work certificate). Her eyes PRA clear as normal since both of his parents are clear by DNA.